Developed in response to market demand, International Window proudly presents the Lanai Series 5000 vinyl hinged out-swing door. Many design and structural details have been meticulously crafted into this beautiful door which in many ways surpasses its competition. The Lanai door’s design is not only beautiful, but structurally sound using aluminum stiffeners to enhance its stability. Available in both single panel and french door options, the Lanai door features continuous sight lines which provide fluidity to your home’s exterior. Energy efficient and secure, the Lanai’s architectural beauty provides endless opportunities to enhance and compliment the design of your home. The Lanai Series 5100 door, has undergone the same inventive design initiatives that developed the wonderfully crafted Series 5000 door. 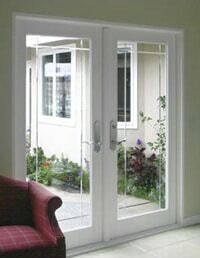 Its reinforced vinyl construction makes the door energy efficient and weather resistant while still providing the classic beauty that a french styled door brings. 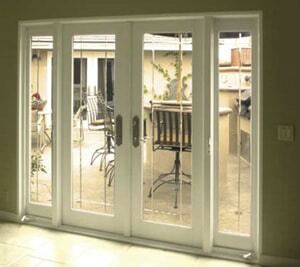 Multiple styling configurations make this door practical for any room in your home. Additional options such as flat or sculptured grids, glass designs and hardware finishes add to the versatility of this door. Its design would make a handsome addition to any home, whether it be classic or contemporary. A beautiful transition between your home and the outdoors, the Lanai Series 5100 door provides the perfect frame for home entertaining. The possibilities are only limited to your imagination.